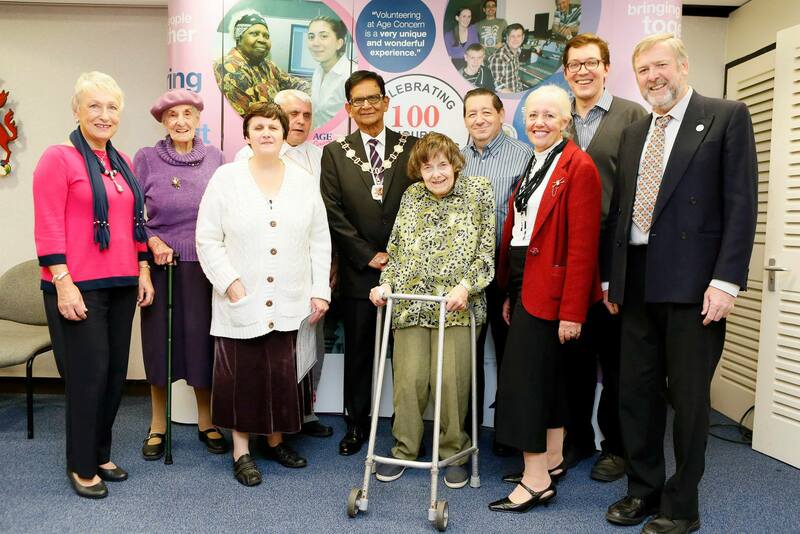 The Enfield Talking Newspaper provides blind and visually impaired residents of Enfield with a free weekly recording of articles read from our local newspapers on memory stick and internet radio. We help our blind and visually impaired neighbours to keep in touch with what's going on in our community. Around 35-40 volunteers are involved in producing and distributing our recording each week, working in weekly teams for a few hours at a time. 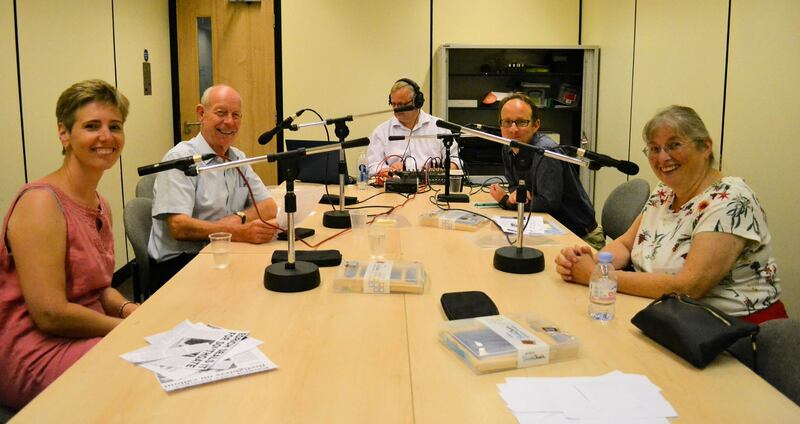 Our aim is to provide an audio recording of the Enfield Independent as quickly as possible, so we set to work on Wednesday afternoons, once the paper has been published, when the editors prepare the copy for broadcast. We record our broadcast on Thursday evenings. We copy and distribute the broadcast on Friday evenings. We operate from two locations. Recording takes place at the Civic Centre in Enfield Town. The Production and Distribution Team operates from Community House, 311 Fore Street, Edmonton. Editing (preparing articles for broadcast) takes place at volunteers homes. We currently have volunteer vacancies. Find out more below. Please get in touch if you are tempted to join our team! Our Editors are responsible for sourcing copy and preparing it for broadcast. Editors obtain two copies of our local newspaper, the Enfield Independent and one other magazine (such as the EN Magazine, Your Enfield Magazine, Palmers Green & Southgate Life, Edmonton Green Magazine). Editors are responsible for printing and cutting out articles for reading either from printed copy or from electronic versions of publications that they download and print from the internet. Individual stories are cut out into separate sheets for each reader. Editors highlight any difficult words or names. They prepare a list of events information (often drawn from hyperlocal blogs such as N21.net, Palmers Green Community and Love Your Doorstep). 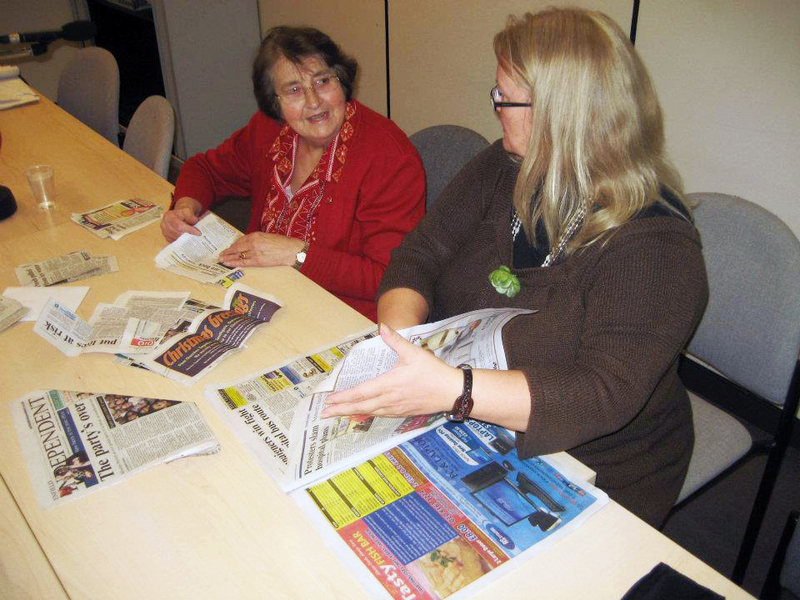 Cuttings are separated into separate bundles comprising; the lead story, notices, events information, sports news, comment and letters and delivered to the Enfield Civic Centre before Thursday evenings for our readers to collect. We currently have vacancies for Copy Editors for Group B and Group C (the second and third Thursday of every month). From January 2018 we will have a vacancy for a Copy Editor for Group A (the first Thursday of every month). Someone with internet access and a printer, or access to printed copies of the Enfield Independent and other local magazines. Someone able to deliver cuttings to the Civic Centre by Thursday evening for broadcast. An organised person with good communication skills and excellent written English. Someone with the ability to convert events information into an easy-to-read script. Frequency: Each weekly team has a separate recordist working once a month. 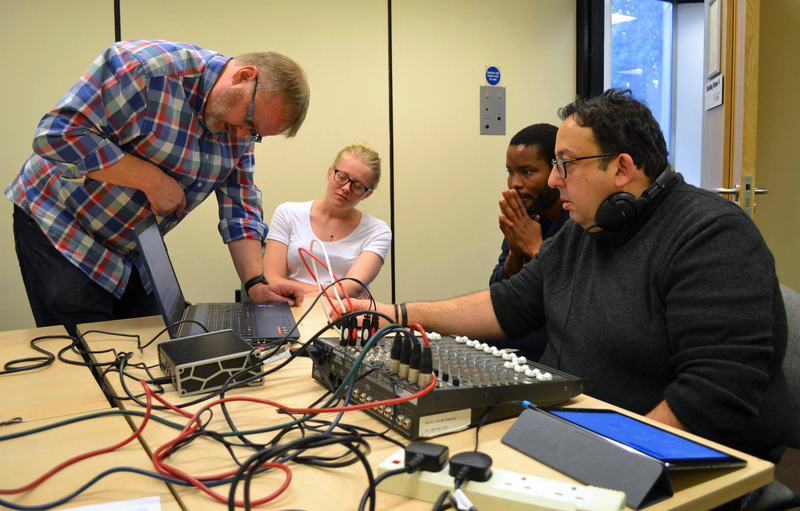 Our recording technicians help set up our equipment, including microphones (for four readers), the mixing desk and laptop. They take charge during the recording process (which is via Audacity), stopping and editing out mistakes as necessary, dividing the recording into tracks and, once the recording is complete, uploading the rushes to our Production Team via Dropbox. Each recording lasts approximately seventy five to ninety minutes. Some recordists prefer to take the recording home to edit and split into tracks before uploading to dropbox. The Production Team need the master recording by noon on Fridays. We currently have a vacancy for a 'Standby' Digital Recording Technician and Sound Engineer to look after our recordings during gaps due to holidays or illness and take charge of the recording when there is a fifth week in the month. Someone with an interest in sound engineering or amateur recording. Someone who is computer literate and familiar with sound recording software, such as Audacity or who is willing to learn. Someone who is able to act independently after training. Someone who is available on Thursday evenings from 7pm for two hours on the fifth Thursday in every month and at other times, to provide holiday/sickness cover. Frequency: Each weekly team has four readers working once a month. Our readers work in weekly teams with four readers per team. We aim for a balance of voice types on each team to provide variety and interest for listeners. Each team has a lead reader who introduces the broadcast. Readers then read cuttings aloud in turn. Recordings are ‘as-live’ meaning there is no rehearsal or re-take. New readers are subject to an ‘audition’ with listeners asked for feedback. No experience is necessary but a clear speaking voice is required. Recordings take between sixty and ninety minutes. Reading is our most popular volunteering role but vacancies do arise from time to time. New readers often join our ‘standby’ list initially. We currently have a vacancies for readers on Group A (the first Thursday of every month) from January 2018. We have a vacancy for a reader on Group C (the third Thursday of every month) and vacancies for our ‘standby’ list who cover gaps due to holidays or illness and read when there is a fifth Thursday in the month. Someone with a clear voice. Someone with the ability to sight read confidently. Someone who is calm under pressure. Someone who is available on Thursday evenings from 7pm for two hours once a month. Frequency: Each weekly team has one or two administrators working once a month. Our Production Team is responsible for copying and distributing memory sticks to our listeners. Listeners return their memory sticks to Community House each week in reusable wallets and these are stored in postal sacks until Friday evening. Returned wallets are "checked in" on our listener register. Memory sticks are removed and set aside ready for recording the next edition. Wallets are then "checked out" on our register and filled with memory sticks containing the new recording. The register allows us to monitor listener behaviour. Some listeners are able to get to a post box every week to return their wallets. Others are house bound and do not receive regular visitors so are not able to return their wallets so frequently. The Administrator monitors the register and when we notice a change in behaviour we alert our Listeners Representative who makes a telephone call to check all is well. This neighbourliness is an important part of what we do. Administrators make a record of the number of memory sticks received and issued, repair or replace damaged or worn out wallets and prepare new address cards for new listeners as required. Sometimes listeners or their friends or relatives send back notices with their wallets - the administrator will respond where relevant or pass on messages to the Chairman or relevant person for a response. We currently have vacancies for Production Team Administrators to cover holiday periods. Someone who is very organised. Someone who is used to working as part of a team. Someone with good communication skills. Someone who is available on Friday evenings from 5.30pm for two hours once a month. It would also be useful to have access to a computer with a printer to print new listener labels (expenses covered) but this is not essential. Frequency: Each weekly team has one Technician working once a month. Our Production Team is responsible for copying and distributing memory sticks to our listeners. The team comprises Technicians and Administrators. Our Technicians are responsible for the technical aspect of the operation, although it isn’t too technical and full training is given! They begin by downloading the master recording from Dropbox and preparing a master memory stick for copying. This involves dividing the master recording into tracks using Audacity and adding on third-party content, such as articles from Infosound London, to the end of the broadcast. This work is carried out at home, so Technicians will need access to a computer and an internet connection. The master recording is uploaded to Dropbox on Thursday evenings, so the master memory stick can be produced from then onwards. After creating the master memory stick, technicians upload a copy of the recording onto Youtube, SoundCloud and Sonata (internet radio) and our website. On Friday evenings at the Production Team, technicians copy the master memory stick, overwriting the memory sticks that have been returned by listeners the previous week. They then assist the Production Team Administrator with the sorting and packing of wallets. We currently have vacancies for Technicians for Group 3 (third Friday in every month) and Group 5 (fifth Friday in every month). Someone who has access to a computer and the internet. Someone who is used to using dropbox and sound editing software such as Audacity. 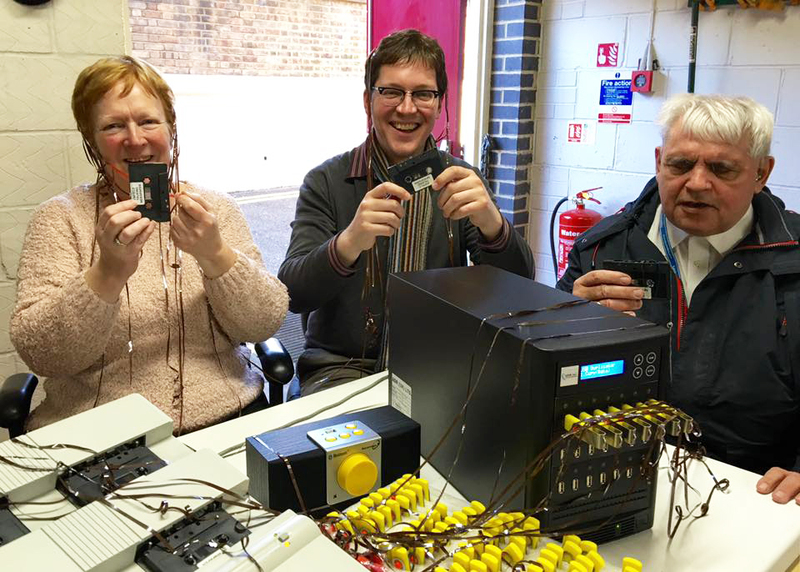 The picture below was taken after the Production Team had copied their final tape, in 2015, when we switched to memory sticks! The new machines are much less noisy!